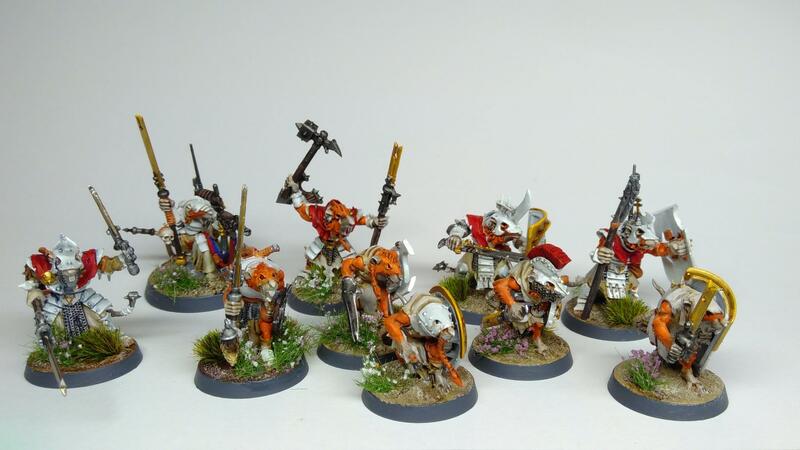 Yet another skaven world realms supremacy blog. Marl Xarks carreer as an Arch-Warlock and Leader of the Great Revoluthing Army nearly ended during his first battle on Hysh. As a young warlock engineer the skyre army of his clan was beaten at the first contact with the Stormcast Eternals. Marl was captured and taken to Azyrheim, from which he managed to escape with the help of a team of eshin skavens. But he didn't leave unchanged. Seeing Azyrheim was an enlightenthing form him and from those days on, he wanted a better future for all skaven.